Well, I didn't make it to the barn today. Work sort of took over the better part of the day, as well as a very grumpy toddler. If I had left for the barn when I could have (4pm) it would have taken me 2+ hours to get up there...A reminder of how much I can't wait until Finn is closer to home and I can shoot up to see him whenever. 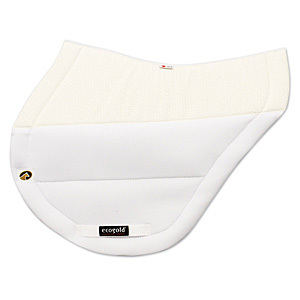 While pricy, this saddle pad is AMAZING. I have at least fifteen other saddle pads and I'm pretty sure I won't ever use another pad again. I have a very forward cut jumping saddle and the normal, cheap, square pads I usually get don't fit my saddle at all. There's no padding on the flaps, so no bulk, and high density foam in the seat area to protect from impact= a comfy-backed horse. Even though Finn gets his saddle fitted regularly, the day I used this pad he moved much more freely than he normally does. I even like it better than his Back on Track saddle pad (and I'm the biggest BOT advocate). The material is also super breathable, and for a horse that normally sweats buckets, Finn was dry for the first time ever under this pad. I've also washed it once and it looks brand new. Definitely an awesome buy! While popular in the UK, these aren't as well known over here. The mitt has three settings and is supposed to help promote relaxation, improve flexibility, and improve muscle tone. When the chiro was here he did a bit of body work and said Finn was very tight through his neck and hip areas, and that he would benefit from regular massage. While I don't think the massage mitt will be a substitute for regular massage, I'm hoping it will help work the kinks out a bit with regular use. This should be arriving at the end of the week and I'm excited to try it out. After a year with Finn and seeing what works, and what doesn't, I'm a firm believer that holistic treatment is very beneficial, along with the normal veterinary treatment. Anything I can do to make my boy more comfortable, I will. I know how much back pain he came with when I got him, and I never want to see him in that condition again. 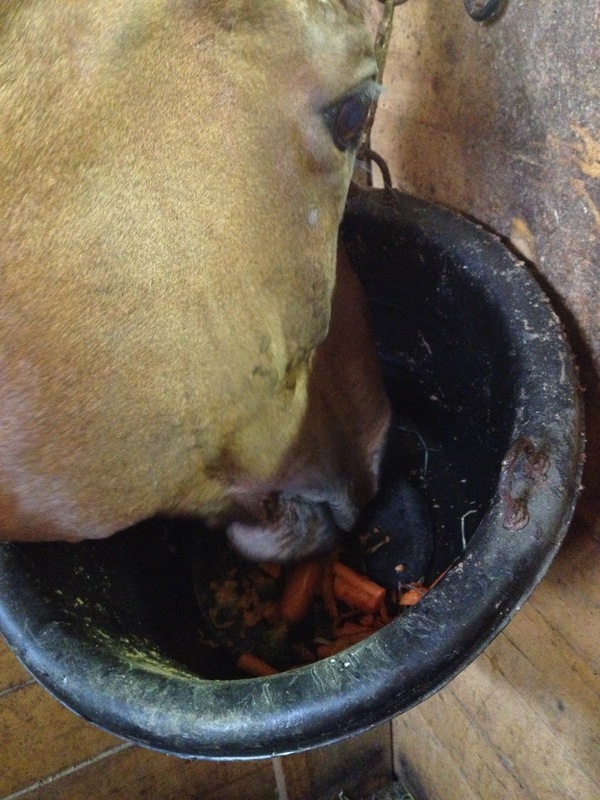 Spoiled pony! I'll check out that saddle pad brand - I'm in the market for a new one as well. K has one of those pads and it seems pretty cool. I am supposed to jump with a mattes pad per fitters recommendation so I haven't bought one. You should look into laser treatment. 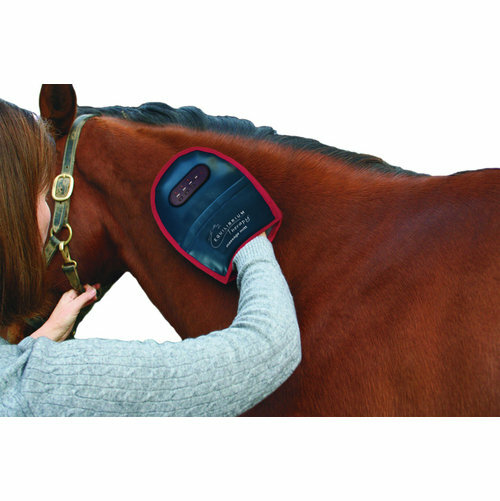 A woman comes to our barn once a month and goes over the horse with a laser - it promotes the movement of lactic acid and the release of tension in the muscles. I think she charges $65 per session, so totally not unmanageable if it's just once a month. Since we've gotten her to come out, all the horses have shown dramatic improvement in muscle recovery time, as well.